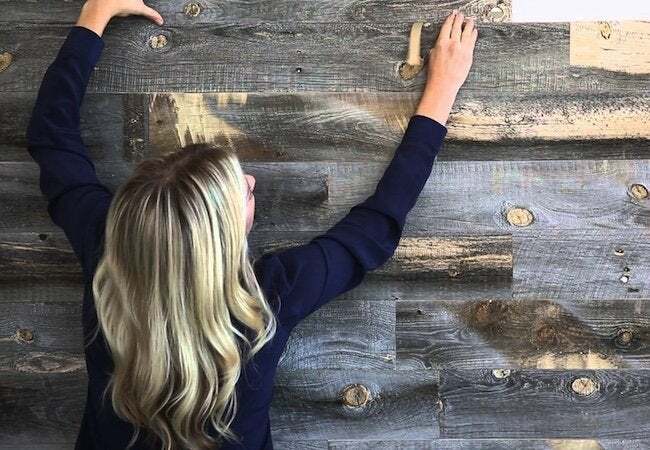 Get the look of the beautiful wood-paneled wall of your dreams without all the labor and costs involved with planking it from scratch. Stikwood's thin peel-and-stick panels get the job done in no time at all. 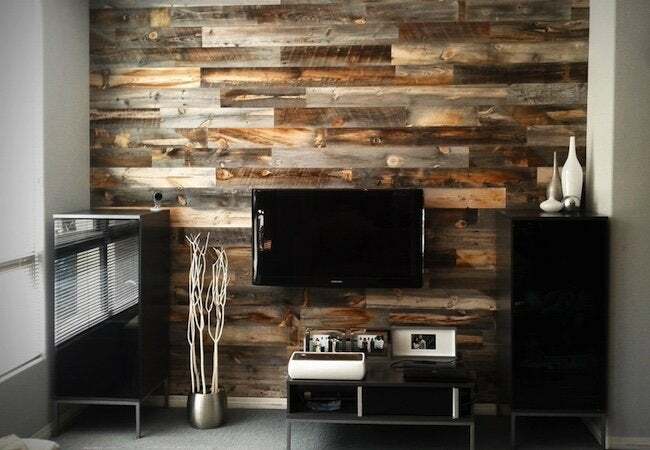 Want wood paneling without the hassle of nailing lumber to the walls? Meet Stikwood, the first peel-and-stick solid wood planking solution. Stikwood planks are thin, flexible, adhesive-backed slices of real wood. The concept is reminiscent of contact paper, the old household standby that may still be lining your cabinets. Stikwood installation is similarly painless. Simply plan out your design, cut planks to fit, peel off the backings, and stick up the planks. The adhesive binds to any clean and smooth interior surface—walls, ceilings, doors, cabinets, and drawer fronts—and will last at least 10 years. Because each plank measures no thicker than three-sixteenths of an inch, installation—if you can call it that—is a snap. Indeed, Stikwood can transform an ordinary room in a matter of hours. And with 16 finishes to choose from, ranging from rustic white to a more contemporary mocha, there’s bound to be a texture and color combination suited to your taste. Stikwood can be purchased online in multiples of 20 square feet, with some 10-square-foot quantities available by special order. But whereas measurement would be a taxing step in a typical paneling project, Stikwood simplifies this portion of the job, too. Just plug in the measurements for the height and width of the surface you plan to panel, and the Stikwood site calculator tells you how many square feet of product you need. So really, the only “work” for you to do is in dreaming up a design.